Add metallic contrast and decoration to T-shirts, jeans, purses, bags, pencil cases and much more, with easy to apply metal claw stud rivets. Press the claws through fabrics and close the claws to secure. 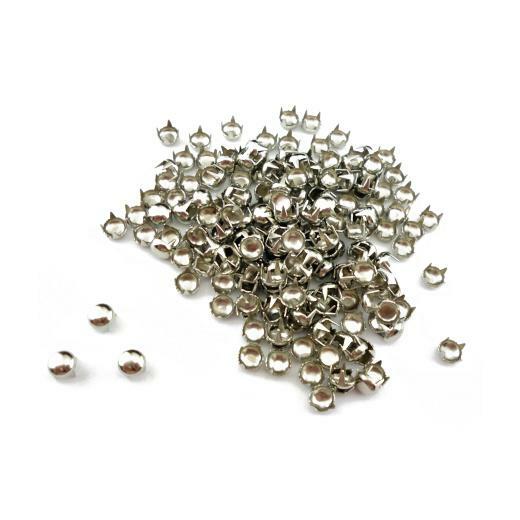 200 x 5mm round shaped claw rivets.